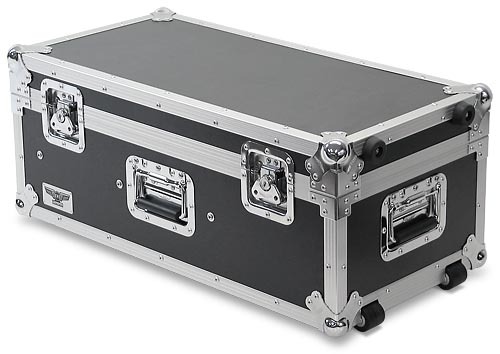 This is the EWI Tourcase tm Model M040A-30MM, 25 mic road case with 2 DI compartments. The 25 mic holes are 30MM and sized for a variety of microphones. To the right of the mic compartment are the separate compartments for DI boxes, mic cables, mic clips or similar items. 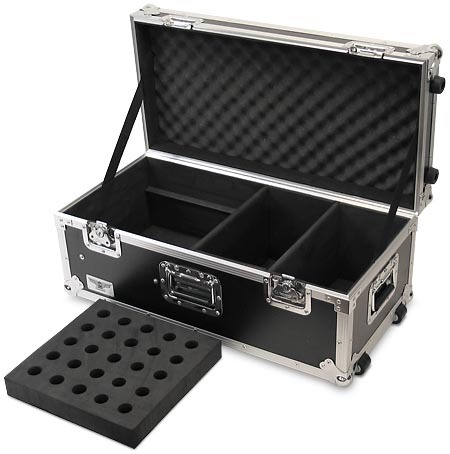 Also, below the removable mic caddy tray is possibly more room for stuff.